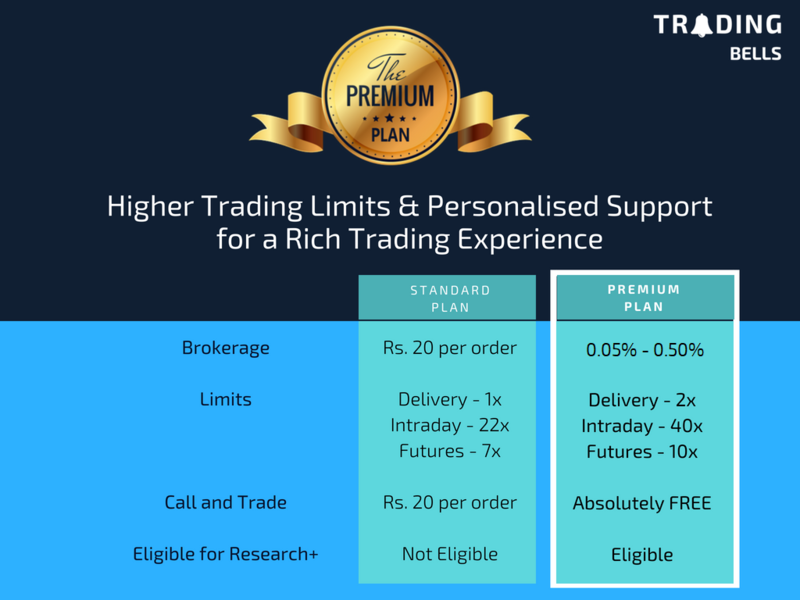 TradingBells Premium Plan is for traders & investor looking for higher leverage and personalized services. 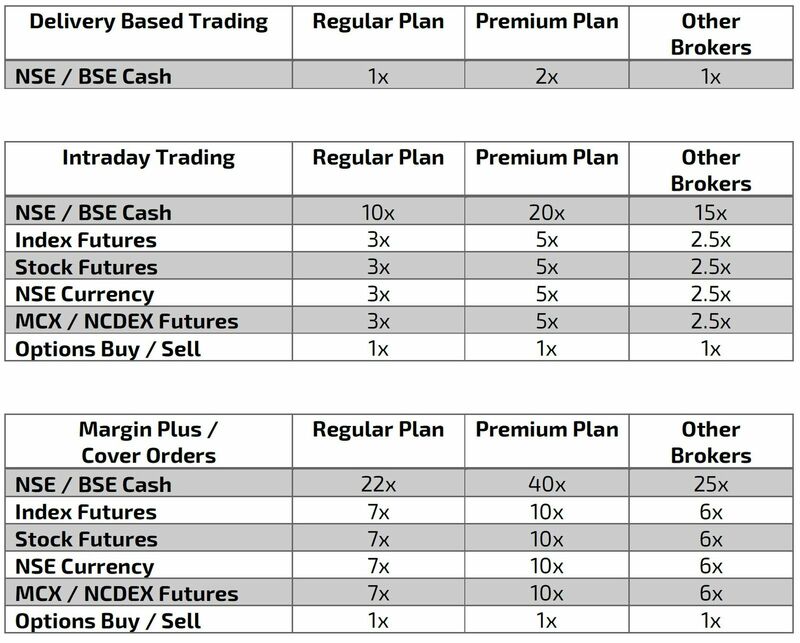 •	Higher leverage in Delivery, Intraday and Futures transactions. •	Free unlimited call & trade facility. •	Eligible to apply for our Research Plus Pack. 1. The MTM Square Off limit by RMS will be set to 70% instead of the usual 80% under the Premium Plan. 2. For Delivery Based trades, limit is available free of interest for 2 days (until T+2). Thereafter interest would apply @0.05% per day on the unpaid portion only. Don&apos;t forget to ask your advisor for a preferential rate if you are planning to invest higher amounts! For more details, please get in touch with our friendly customer support team and they will be glad to help !